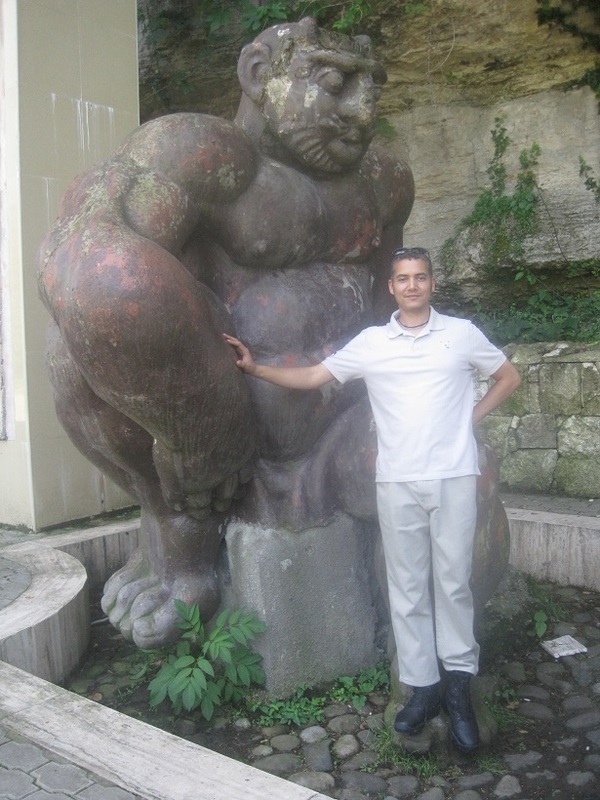 Early in 2014, whilst I was busy researching and exploring the ancient megalithic ruins here in Ecuador nicknamed as ‘The Lost City of Giants’, I was contacted by a television production company interested in giants. This contact eventually led to my being invited to join an expedition preparing to travel up into the Georgian Caucuses. In June I traveled out to Georgia and met up with the film crew from the Discovery Network. 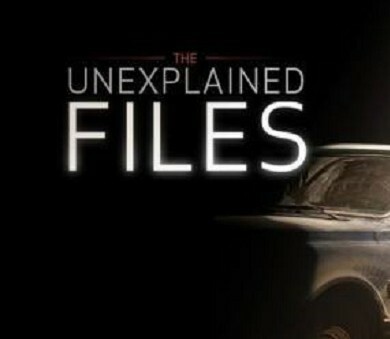 The job in hand was to help create an episode of the Science Channel’s flagship cable show called ‘The Unexplained Files’. 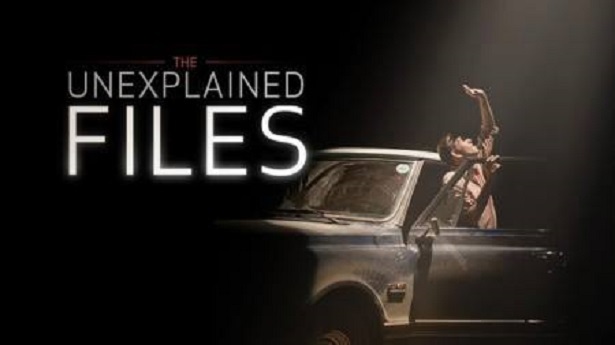 This particular production would be all about ancient giant human-like beings. So how did the Science Channel come to send us all to Georgia? The background to this story starts in 2008 when a group of Georgian researchers followed up on a story they had heard about the burial chamber of a giant having been stumbled upon by a herdsman in an extremely remote location. The account told that this farmer had entered an ancient stone crypt somewhere in the mountains only to find an incredible sight, two giant sized human skeletons sitting on chairs at a large table. 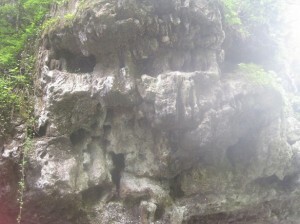 The team of Georgian researchers hiked into the wilderness with the hope of investigating the discovery, this site being located high up in the Lesser Caucasus mountain range. This region is part of the enormous forested Borjormi-Kharagauli national park area. When the group reached the site, which is difficult to reach, they found an ancient ruined structure and nearby was the ‘crypt’ chamber. By 2008 the crypt had collapsed and was now filled with soil and debris, the giants were not evident but a shallow dig in one corner revealed a large cache of very aged bones. The bones appeared to be human, yet the size seemed extreme compared to those of an average normal build human male. 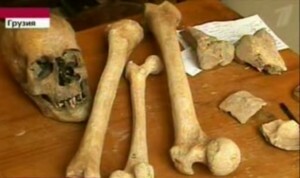 Giant bones recovered in 2008. The team took some sample pieces from the remains and returned to the Georgian capital, Tbilisi. There they were presented to the respected scientist Professor Vekua, known for his discovery of the 1.8 million year old remains of Homo Erectus Georgicus. He stated that if the bones were human they would be consistent with a person of between 2.5 to 3.0 meters in height. Unfortunately before any final conclusions were reached or full testing could be done Vekua sadly died and the bones were lost somewhere in a Georgian museum archive among thousands of pieces and bones. 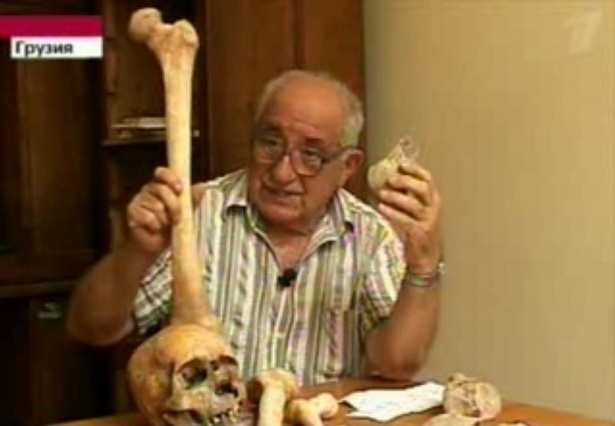 Prof. Vekua with giant bones from 2008 expedition. Somehow the researchers for the Science Channel stumbled onto this story in 2014 and began contacting scientists and researchers in Georgia that were connected to the original discovery. 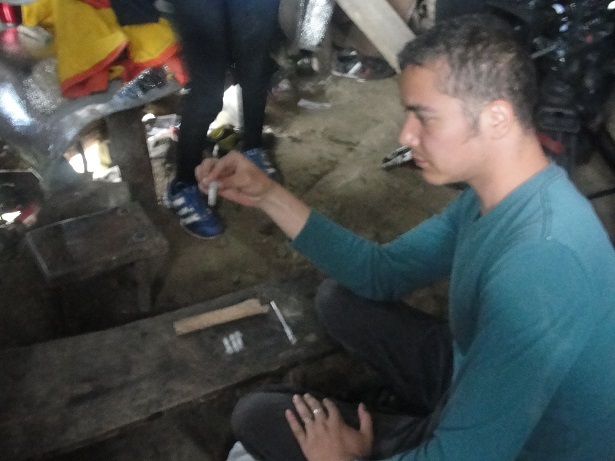 It was then decided that they would send a film crew to meet with some of the members of the team there and travel with them back to the site of the find, hopefully to excavate more bones and have them tested. I was already in talks with the production company at this time, regarding them using my information from the Ecuador Lost City of Giants, so they decided that it would be good to have me go along with the film crew as their expert on ancient mysteries. This sounded like an interesting adventure so I decided to accept the offer. We traveled by mini-bus to the ranger station on the edge of the national park land and loaded the film crew’s kit onto horses, grabbed our bags and began the grueling hike. We would have to travel some 30 km on foot to reach the destination led by the four members of the original expedition and some park rangers. The first part of the journey being through dense forests, home to bears, wolves, wild cats and at times armed poachers. 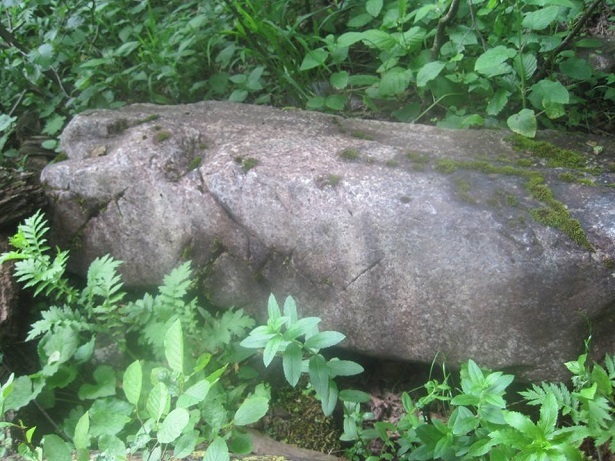 From about half way I began to notice worked stone, pieces of a square shaped column beside the path, megalithic blocks and small but clearly shaped building blocks. Some of these were heaped up into dilapidated walls that may have one been parts of structures or burial mounds and others that were simply laying in the wide streams we passed through, as though washed down from somewhere further ahead when the water had been much higher and left deposited in these shallows downstream. This interesting stone debris was later superseded in my mind by what appeared to be a very ancient paved road, in such ruin that it must have been many thousands of years old. This began about 10 km into our hike. I was left wondering who could have shaped and then moved such a massive quantity of stone in such an inaccessible area and then utilized sufficient engineering skills to construct kilometers of road. 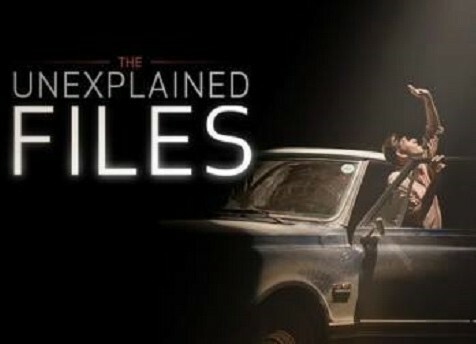 Most intriguing of all was why would they want to do so here in the middle of nowhere? Square Base Megalithic column seen on route to the ruins. We left the woodland behind and entered a gorge with steep cliffs on either side going vertically upwards to a height of about 100 meters. Here we were literally walking in a freezing cold river, mindful at every moment that a flash flood could suddenly wash us all away without any hope of escape. The water was full of large boulders, many big stones looked very clearly to have been shaped by human hands. At one point I saw something that seemed to be a skull design carved into the cliff wall just above us, though one would have to allow for thousands of years of water erosion to account for its current state. Clearly the basic form of a face was present. Weathered skull feature noticed in canyon on route to ruins. Finally we exited the river, with some relief. This feeling of relief was however short lived due to the fact we now had to head upwards on a steep and muddy mountain path for the next few hours. It was extremely grueling and the film crew and some of the others were struggling, I found myself glad that I was used to living in a low oxygen environment at over 3000 meters up in the Andes! 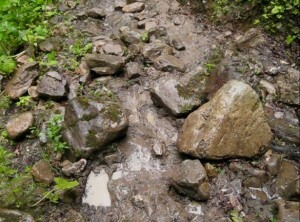 As we traveled this path I again noted the remains of a paved road, blocks were sticking up through the mud or scattered about at the sides of the path. This obvious remnant of a civilization continued all the way to our destination 1800 meters above us on the mountain top. Strange yellow concrete block observed on mountain path near ruins. 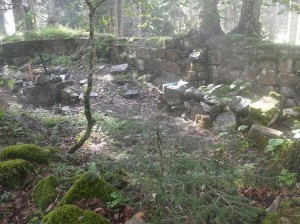 At last we reached our primary destination, a ruined structure up on a narrow ridge. I noted it had an East West alignment, suggesting potentially it might be a solar temple, though the ideal defensible position also left open the possibility of it being a fort. It was not large, only about 15 meters by 10 meters. The roof was gone and the walls largely collapsed, large old trees had grown over parts of the ruins. There was little to identify its original purpose. 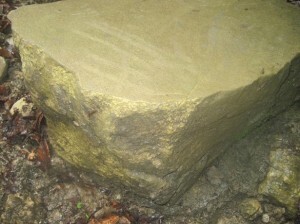 I did however note one strange symbol engraved skillfully into loose stone block. The symbol appeared to be rather like a tadpole. Funnily enough I know that our friends and co-authors of ‘Ancient Aliens In Australia’, Steven and Evan Strong, have reported seeing this symbol on an ancient star chart in NSW, Australia. 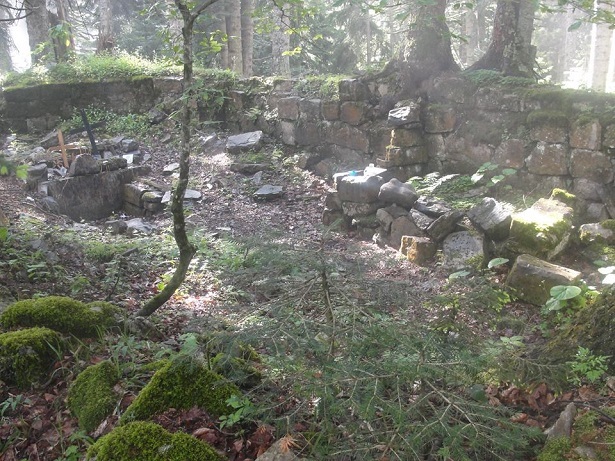 The target location, ancient ruin at 1800 meters altitude, suspected to be 2000 years old. Just a few meters away from this ruin is the so-called crypt. To be fair it might be a cellar or something else entirely, nobody really knows the original use. The age of the ruins here are unknown, the best projections put it at around 1800 to 2200 years old. This speculative date is based on the type of cement used between blocks as it appears similar to Roman concrete, it may however be much older as no testing has yet been done. It is a fascinating mystery as to who built this and why, especially with it being so far from any recognizable significant settlement. All that can be said for sure is that the remains of giants seem to have ended up buried at the site and that this ruin needs full excavation and detailed forensic archaeological examination. If it is a structure built by an unknown or extinct type of hominid, a giant type, then this could be one of the most important sites in the world for that reason alone. Despite all of this the really interesting finds were yet to come. I believe that they will rewrite Georgian history…and then all of human history with it. There was something up in those mountains far stranger than ancient ruined temples and the bones of 3 meter tall beings. You will be one of the first people to know about it when you read the next article. Wonderful story! I’ve always believed that we humans used to be much bigger. Of this site and plan on spreading the the news of it far and wide as I can. Happy Dance ! Images now fixed, thank you! Fascinating material. Thank you for your work! As for the ancient, huge, smoothed stone that you mention here on the site, from my research I’m beginning to believe like you observed that it’s much more plausible (leaving ET theories aside) and as evidence does suggest, that giants built the pyramids and structures like Stonehenge. Giants wouldn’t necessarily be much better at building large structures, the size and weight of the stones is still way in excess of what a really really large human could lift, they would still have required the same kinds of methods/technology to transport and lift such hefty rocks. I mean stone henge is built with many stones in excess of 20 tons. It couldn’t be done by hand, even with multiple humans that were 12 ft tall. There are obelisks and stones within the pyramids that dwarf those figures, hundreds of tons. The same can be said for pyramids in south america, were there giants in south america too? I found a much better link! I’m rather dumbfounded now why in certain religious traditions and archeological circles the clear pictographic evidence left by the Egyptians of Giants buidling the pyramids is totally ignored. Why the conspiracy? I’ve heard that museums, such as the Smithsonian, has large skeletons (and have been rumored to have even destroyed some) but will not show them to the public because there’s a chance that it wouldn’t coincide with the evolutionary theory. Basically, if it goes against it, they want nothing to do with it. At least that’s what I’ve heard. Who knows why these things are kept from us? I personally find it fascinating that the Nephilim (the offspring of fallen angels and human women) may have been real.